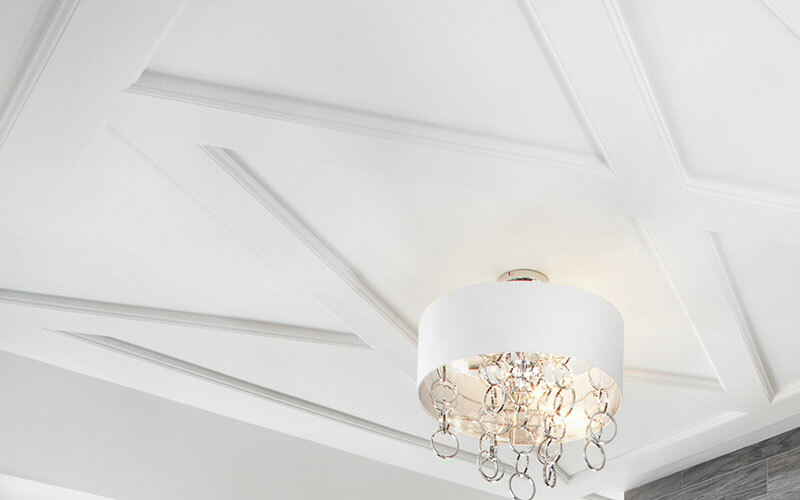 Adding style and charm with affordable alternatives such as ceiling medallions and trim are easy ways to ceilings. When redecorating, home owners typically update furniture, paint walls, change flooring, or update decorative details. 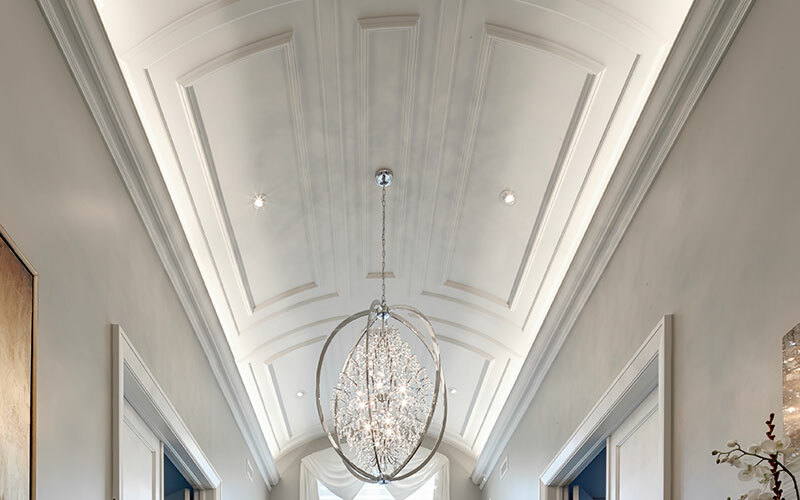 It is easy to forget the simple yet impressive effects that ceiling renovations can create when updating a home. 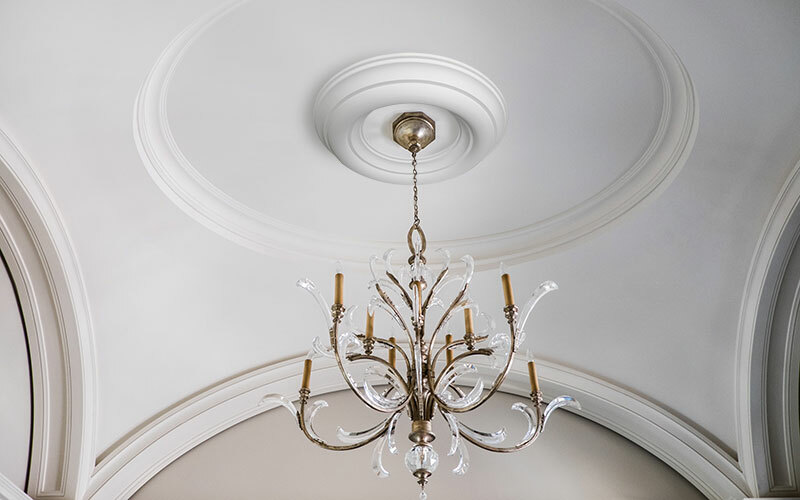 Adding style and charm with affordable and simple alternatives such as ceiling medallions and trim are fast and simple ways to enrich interior spaces and bring new life to dull, uninspired ceilings with decorative trim accents. Ceiling medallions or trim easily change boring rooms to dramatically beautiful spaces. 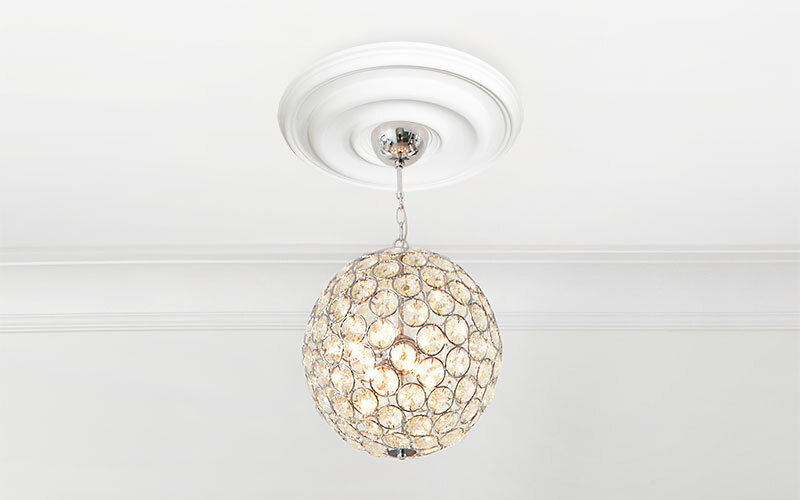 Ceiling medallions are the perfect complement to chandeliers and lighting fixtures. The addition of ceiling medallions can even enhance ceiling fans to give them a more ornate feel. 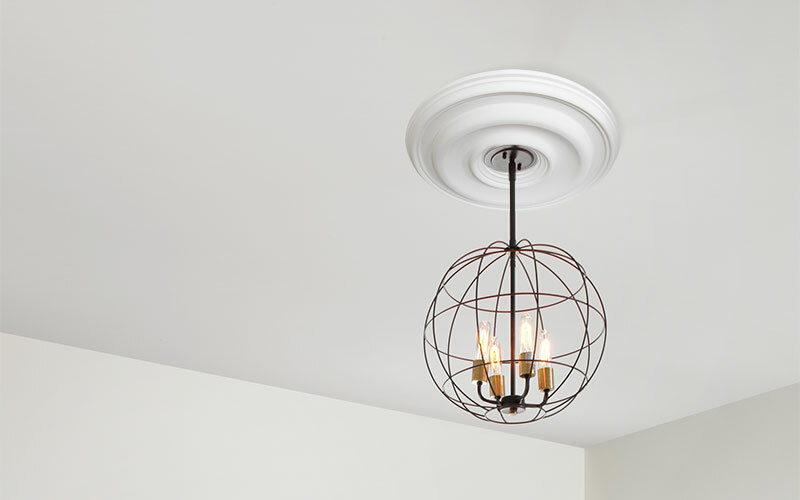 Boring light fixtures become unique decorative details, adding style, as well as depth. By adding these simple elements to your ceiling, you can create a sophisticated and an attractive focal point in any room. 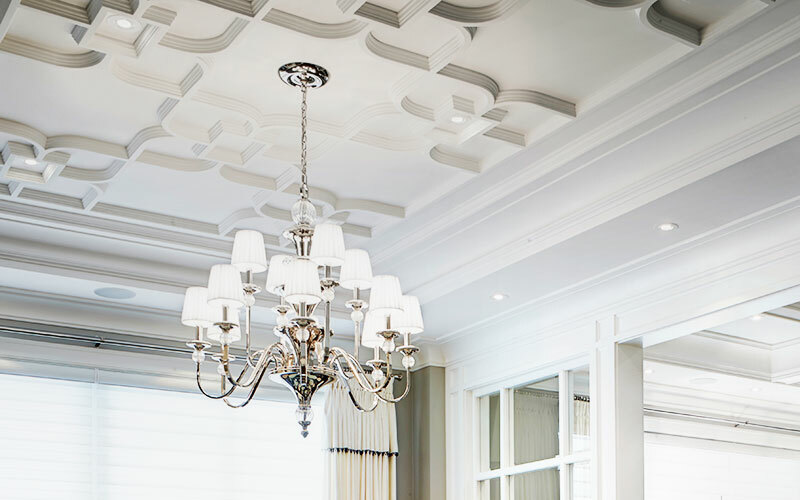 Many home owners will use ceiling medallions or trim as an accent piece to dress up a formal dining room, but these versatile ceiling details are great for updating everyday rooms as well. They look great centered over a kitchen island or paired with a unique light fixture to make an eye-catching statement. From a financial standpoint, ceiling medallions or trim are an excellent choice. They combine both versatility and affordability. Plaster coated foam ceiling medallions are lightweight, durable and easy to implement. The smooth plaster exterior makes painting easy. 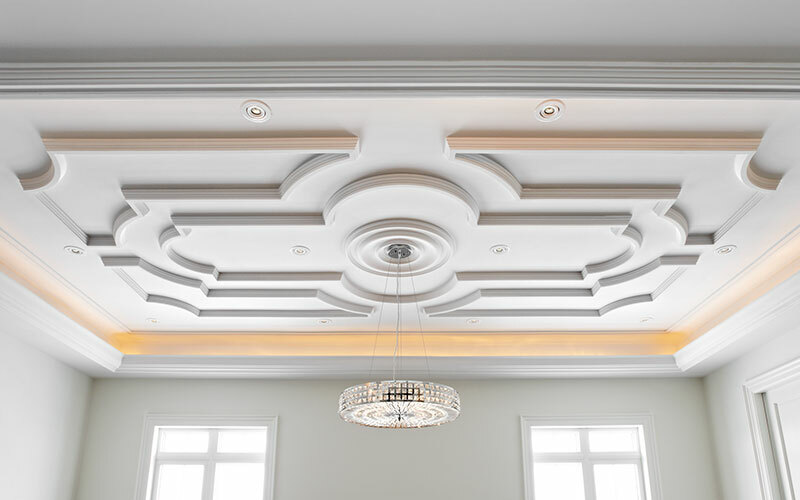 Unlike traditional materials such as wood, plaster coated foam ceiling medallions won’t crack or warp with time, so they retain their beauty for many years. 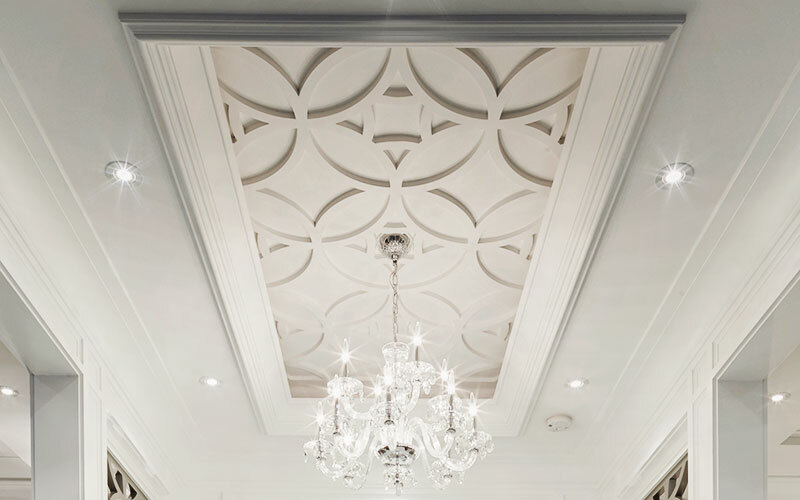 Ceiling trim can be moulded to intricate patterns that add depth and interesting detail. Regardless how these versatile ceiling enhancements are used, you are bound to enrich any room. Ceiling medallions or trim are a couple of the simplest yet most effective home renovation options available today. Get in touch with our design team and we’ll help you select the best profile design and size to fit your needs.